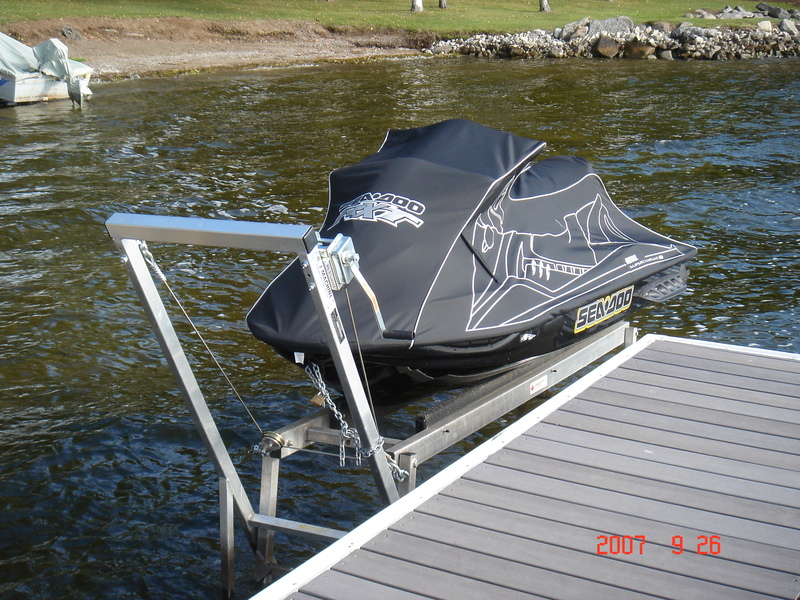 Our lightweight aluminum Watercraft Lifts are like no other on the market today. 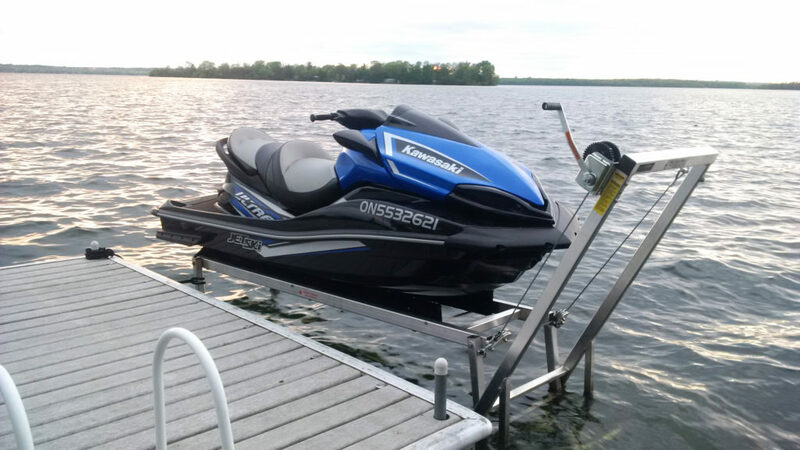 Seeing the need for a more structurally sound lift for today’s larger personal watercraft, we responded by going to a wider dual pivot point system. 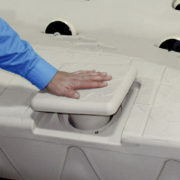 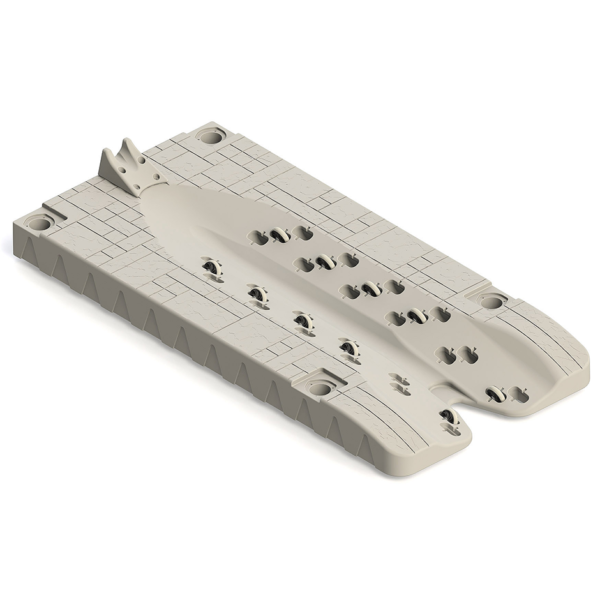 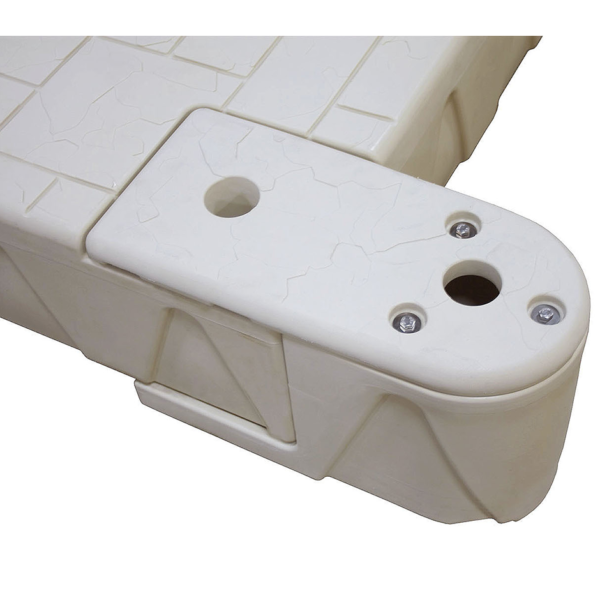 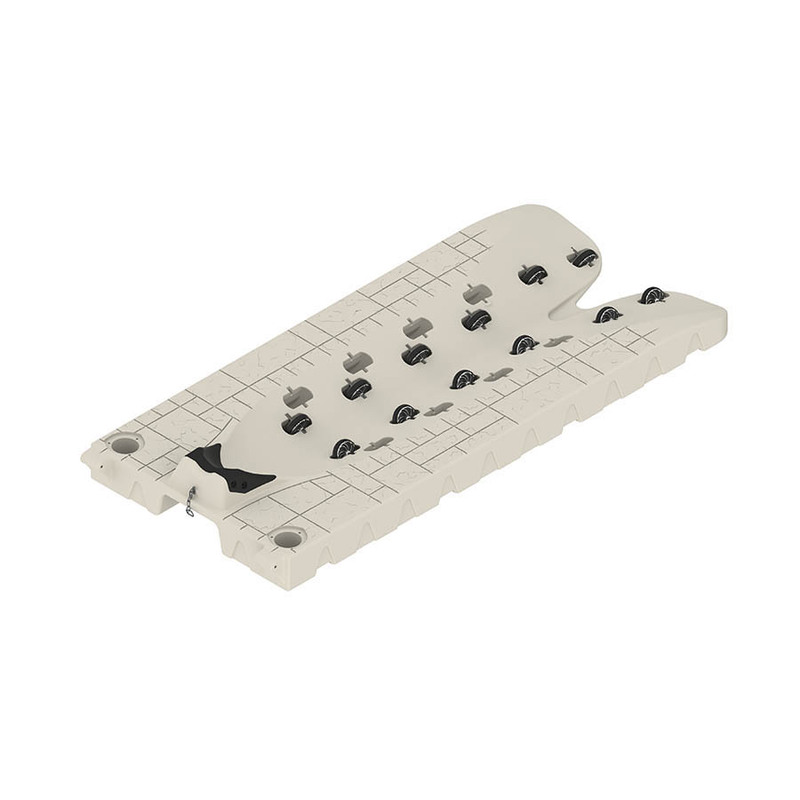 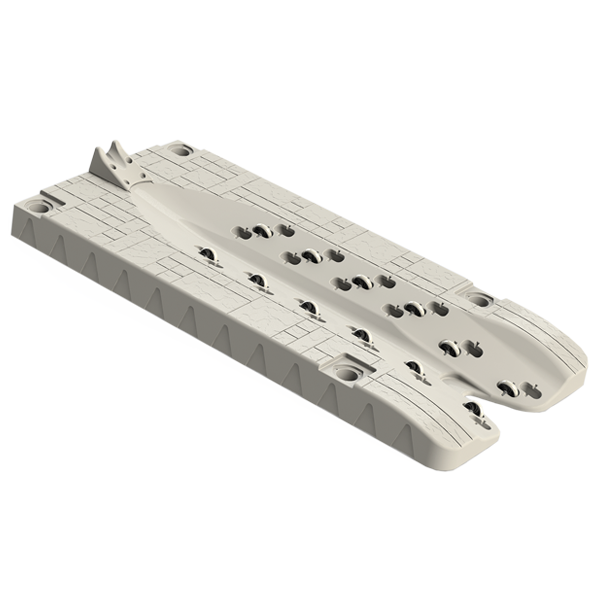 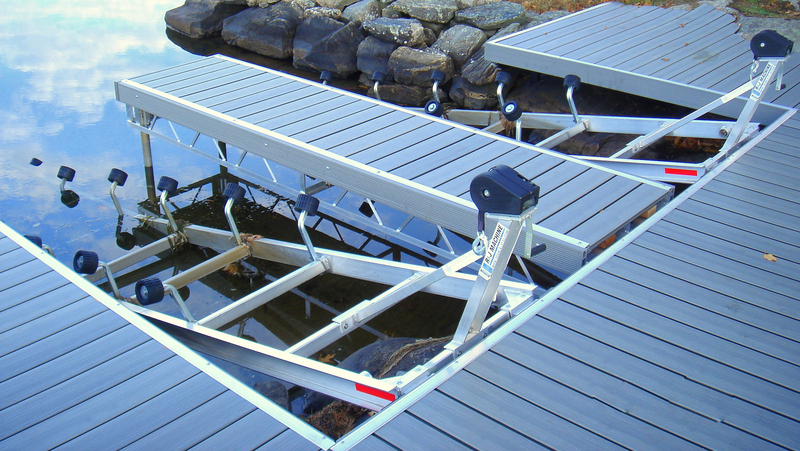 This lift also operates in shallower water than previous designs needing only 8″ to operate. 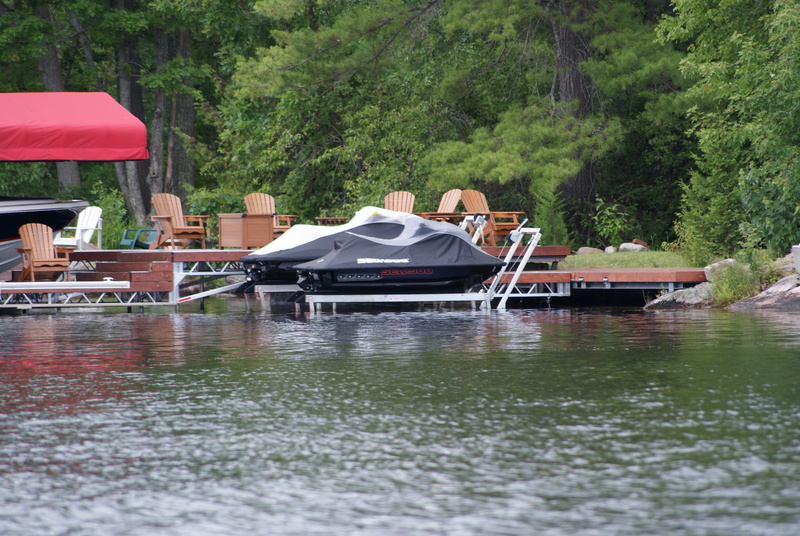 We also relocated the winch to the outside of the lift, making it much easier to reach while standing on a dock. 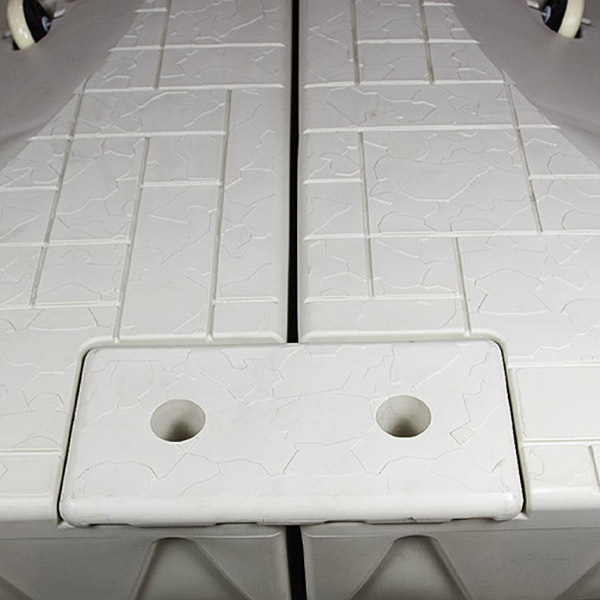 All pivot points ride on Delrin bushings. 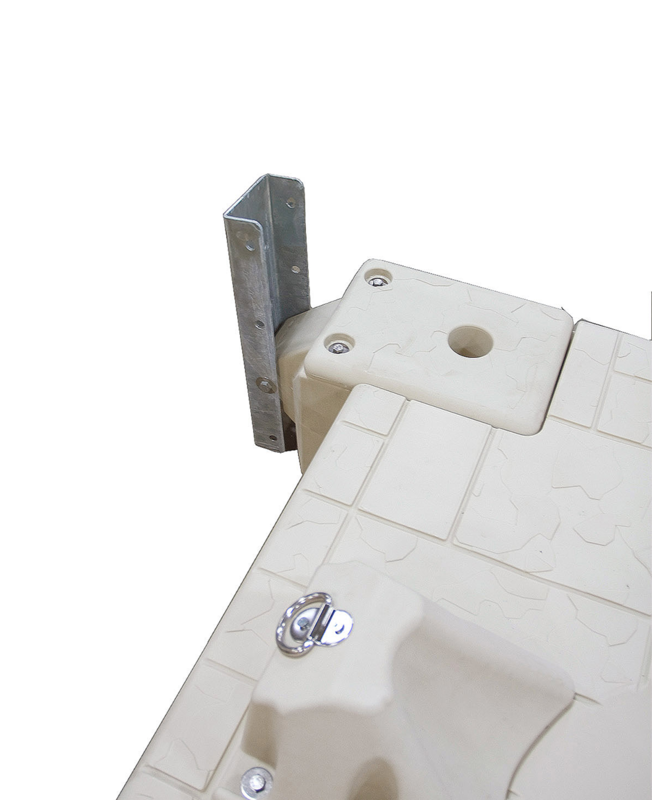 All pulleys have bronze bushings. 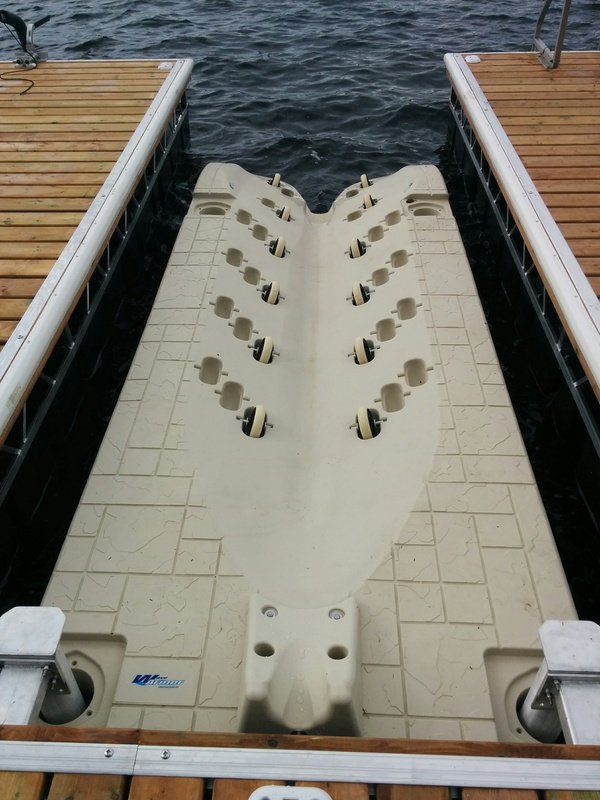 Available with a marine grade carpeted bunk or PVC bunk. 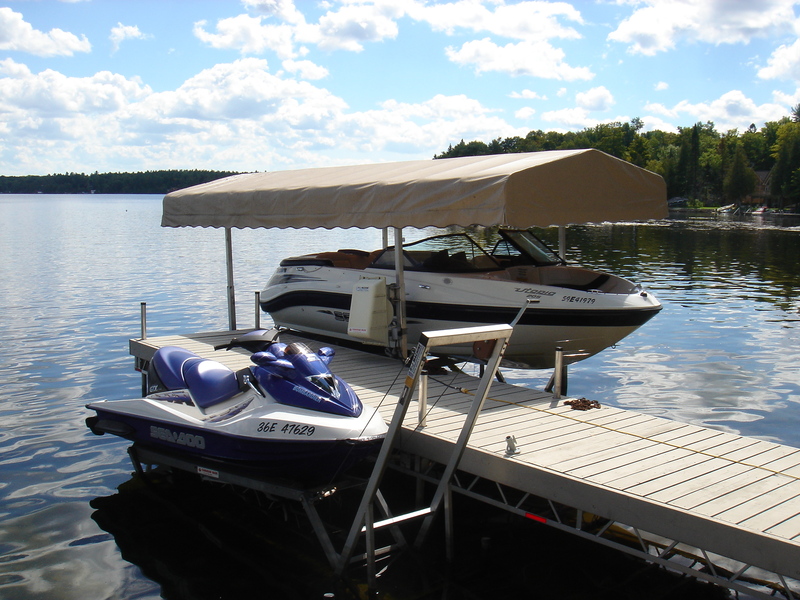 Because the PWC Lift winch can be mounted on either side on the lift, you can easily install one on each side of your dock or have a small dock in the centre of two lifts to make it easy to board, cover and fuel your lifts. 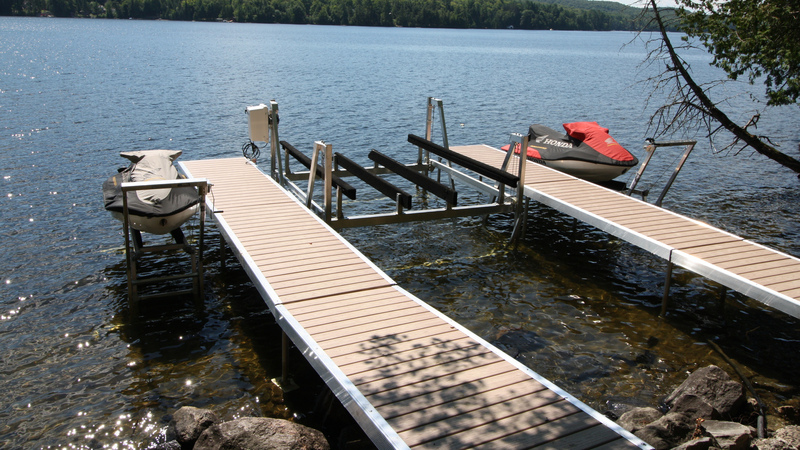 Longer legs can be added to our lifts to accommodate water depths up to 6′. 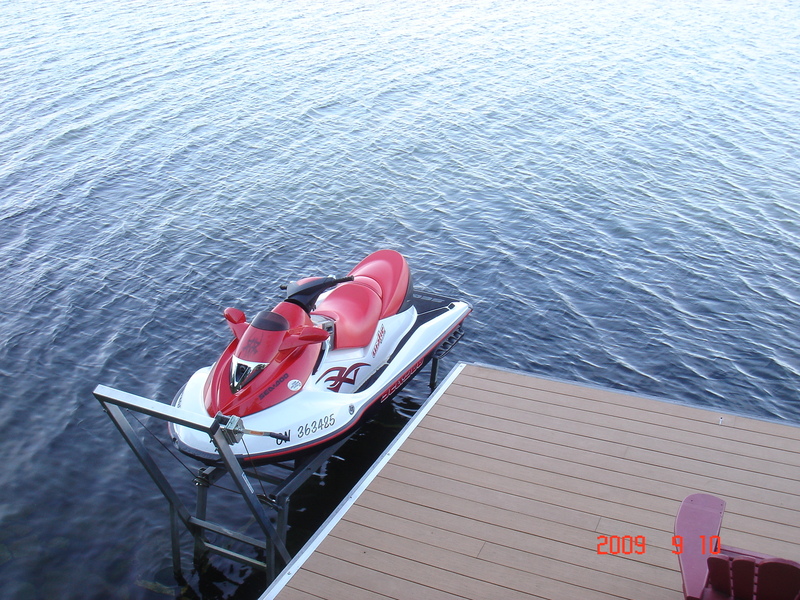 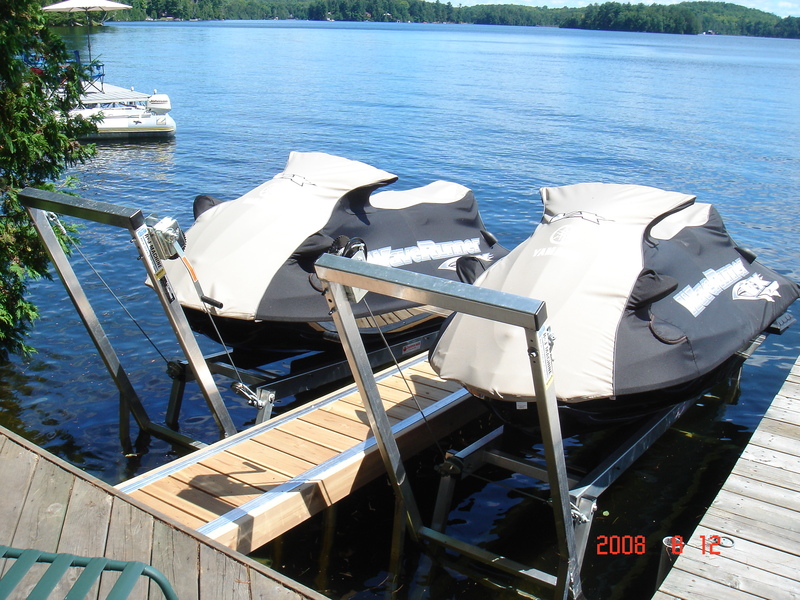 For clients that require a floating PWC lift we also carry the Wave Armour line of PWC lifts. 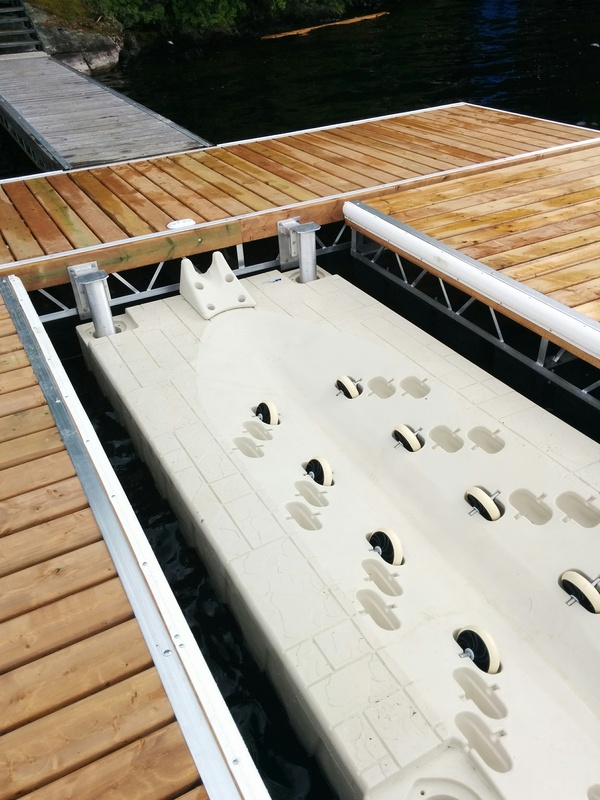 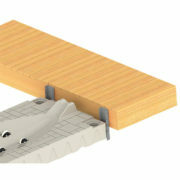 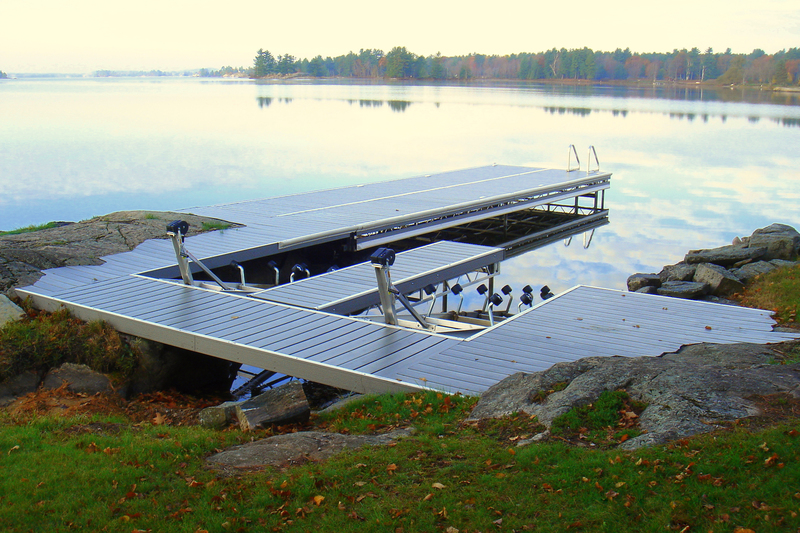 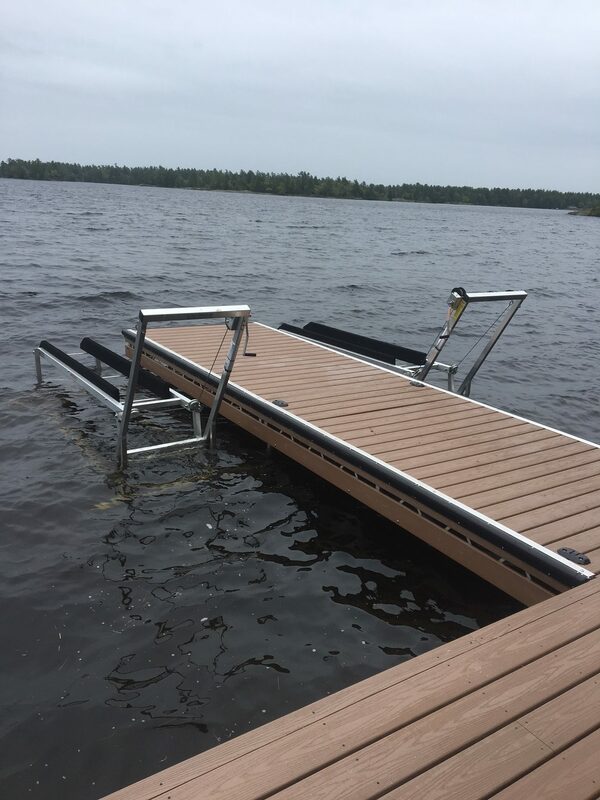 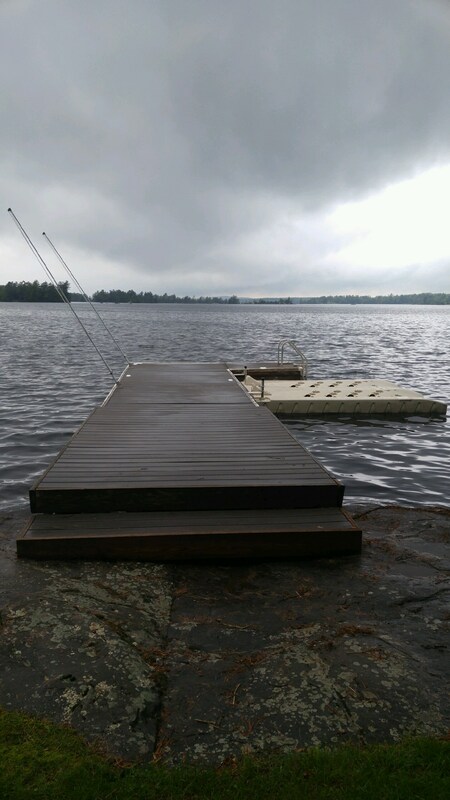 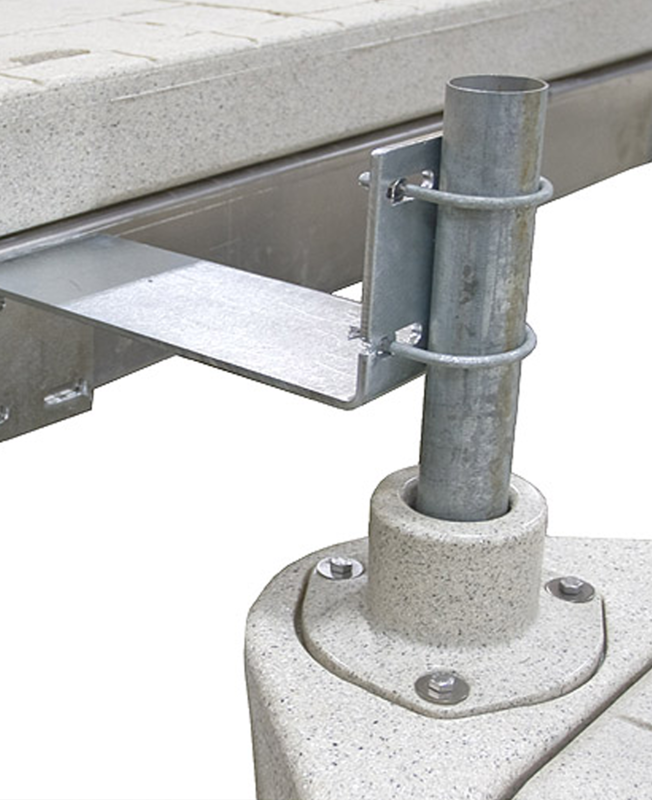 Available in 5′ and 6′ widths, they are also available for fixed or floating dock systems. 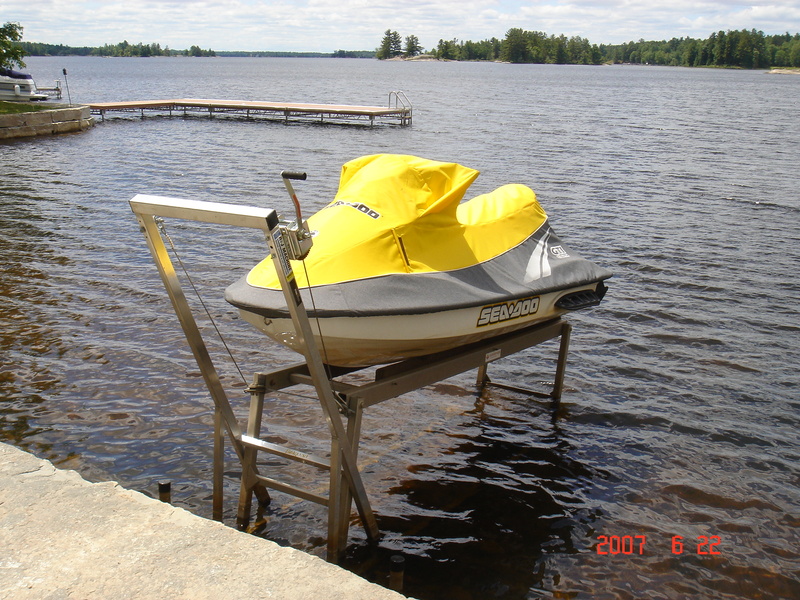 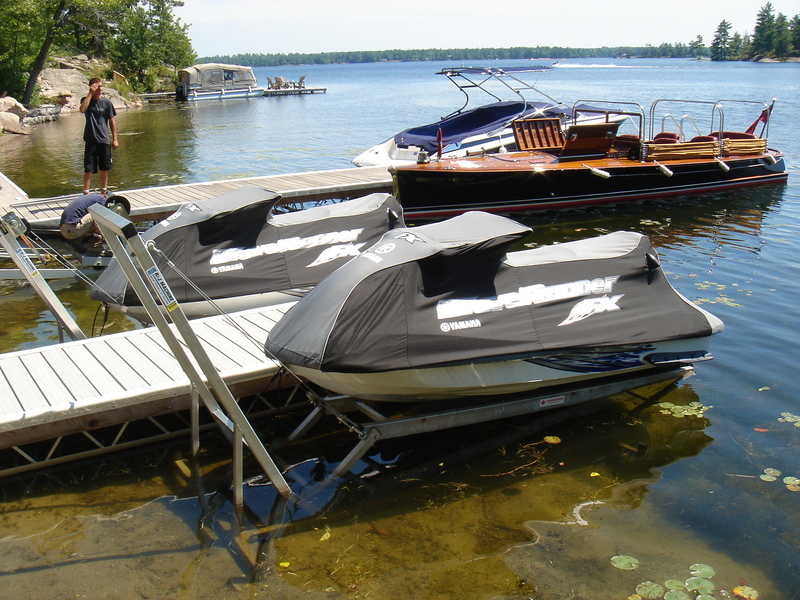 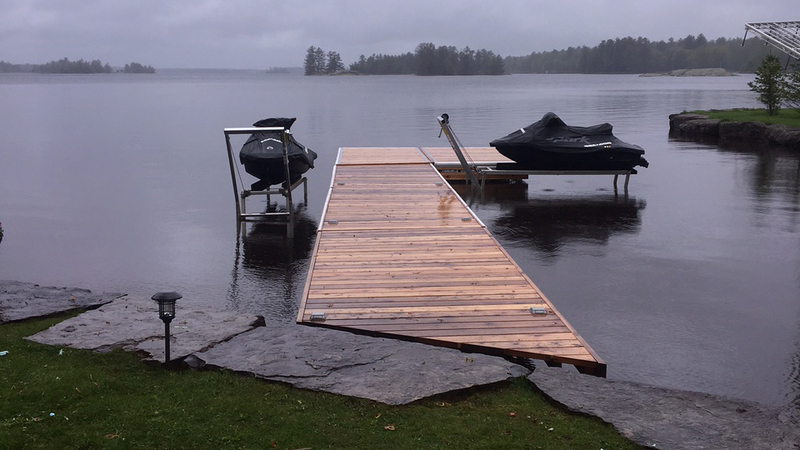 Roller Ramp systems work well for those that want to pull their personal watercraft or small boat up onto a sand beach area or low grade shoreline.